As the hub of Northern Nevada, Reno is a short drive from anything you could want. Besides boasting a myriad of activities within the city limits, once you’re here, you’re less than an hour away from all that Northern Nevada has to offer. 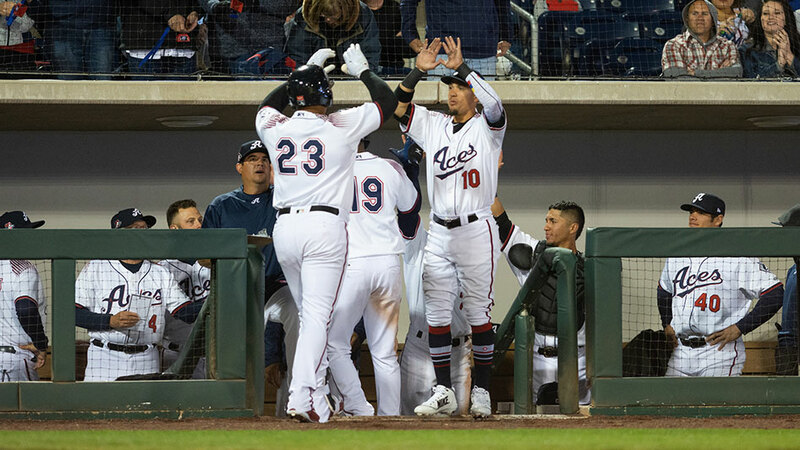 Although Reno has long been known for gambling, “The Biggest Little City” is changing with the times and has even been called “The Next Silicon Valley” by Bloomberg Businessweek. Tech giants Tesla, Switch, and Panasonic are just a few of the companies that have chosen to call Northern Nevada home, leading to a spur in the local economy. Boutique hotels, craft breweries, and a thriving art scene are now becoming synonymous with Reno, making it the perfect vacation destination. It’s hard to ignore the abundance of art displayed in downtown Reno. In addition to the art installations originating from Burning Man, like the 50ft stained glass Space Whale in City Plaza, there are many original art pieces adding to the aesthetic. Within the Downtown and Midtown areas, there are over 100 larger-than-life murals, as well as countless painted signal boxes, benches, and bike racks. If you are interested in learning more, you can participate in a monthly guided art tour or follow a self-guided tour. Looking for a more traditional art experience? Reno has many local art galleries, performing art centers, and museums for all ages. Car enthusiasts can see over 200 unique and historical cars at the National Automobile Museum and art lovers can witness some of the finest traveling exhibitions in the state’s only nationally accredited museum, the Nevada Museum of Art. 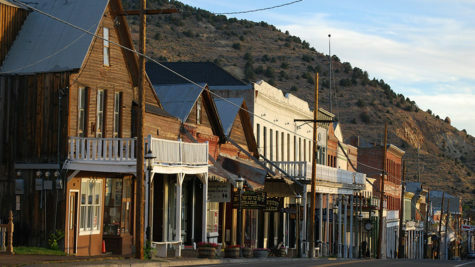 The Biggest Little City is home to many shopping options that range from boutiques and antique stores to shopping malls. One thing is for sure, you will not leave empty handed! Midtown District is a relatively new area that offers many locally-owned boutiques. Junkee Clothing Exchange is a thrifting staple; especially when searching for your Burning Man wardrobe! If you venture outside of the downtown area, you will find both the Meadowood Mall and Summit Mall with some familiar retailers. 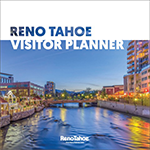 Whether you are on a shopping spree or just hunting for a local treasure, Reno has something for everyone. Reno has blended old school and modern to create a foodie haven accompanied by local brewpubs, experimental farm-to-table restaurants, and craft distilleries. This burgeoning food scene has options ranging from rustic Italian to all-you-can-eat sushi, with new spots popping up throughout the city. Downtown Reno and Midtown are Reno’s most popular areas for bars and clubs. However, other hotspots include East Fourth Street, Wells Avenue, the UNR area, Kietzke Lane, and all along South Virginia St. Most neighborhoods also have their own local bar, sports pub, or brewery. 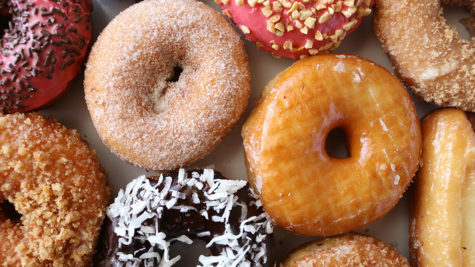 Learn more about the region’s eateries and some pro tips on how to eat like a local in Reno. 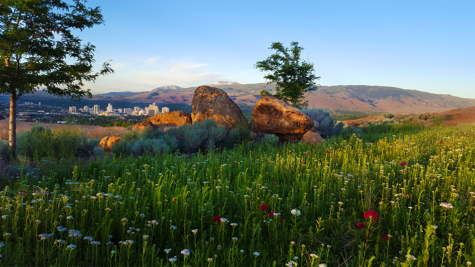 Within an hour’s drive, there are more than a dozen ski resorts, Lake Tahoe, thousands of mountain biking and hiking trails, several lakes that are perfect for fishing and boating, and the 114-miles of the Truckee River which runs right through the center of downtown Reno. With the plethora of outdoor opportunities, you will find people taking advantage of them year-round. What do hot air balloons, classic cars, outhouses, and ribs have in common? Normally nothing, but in Reno, they are all unique themes of the Biggest Little City’s exciting iconic events. Hot August Nights, Reno Rodeo, and The Great Reno Balloon Race are favorites that have each called Reno home for more than 20-30 years. In addition, the city celebrates several gastronomic gatherings like the Eldorado Great Italian Festival and the Best in the West Rib Cook-Off. During the summer months there is always an event in some form, so make sure to check out our Reno event calendar during your planning. The casinos, Pioneer Center, Bruka Theatre, La Bussola, Sierra Arts and the Reno Events Center provide numerous concerts, art events, plays, and shows as well. 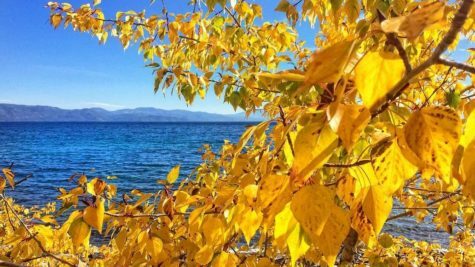 As early as the 1850s, a few pioneers settled in the Truckee Meadows, a relatively fertile valley through which the Truckee River made its way from Lake Tahoe to Pyramid Lake. Gold was discovered in the vicinity of Virginia City in 1850 and a modest mining community developed, but the discovery of silver in 1859 led to one of the greatest mining bonanzas of all time as the Comstock Lode spewed forth treasure. To provide the necessary connection between Virginia City and the California Trail, Charles Fuller built a log toll bridge across the Truckee River in 1859. A small community servicing travelers soon grew near the bridge. After two years, Fuller sold the bridge to Myron Lake, who continued to develop the Lakes Crossing Community. In 1864, Washoe County was consolidated with Roop County, and Lakes Crossing became the largest city in the county. In 1868, the Central Pacific Railroad built tracks across the west to connect with the Union Pacific to form the first transcontinental railroad. Once the railroad station was established, the town of Reno officially came to be on May 13, 1868. The new town was named in honor of Major General Jesse L. Reno; a Union officer killed in the American Civil War. Nevada’s legalization of casino gambling in 1931 and the passage of liberal divorce laws created another boom for Reno. Beginning in the 1950s, the need for economic diversification beyond gaming fueled a movement for more lenient business taxation. The presence of a main east-west rail line, the emerging interstate highway system, favorable tax climate and inexpensive land created the ideal conditions for warehousing and distribution of goods to the growing population in the surrounding eleven western states. Today, Reno, Nevada has the largest concentration of distribution-related property per capita in the United States. Reno sits in the rain shadow of the Sierras. Winter has snowfall but typically it is light. Summer highs are generally in the low to mid-90s °F, but temperatures above 100 °F occur occasionally. July daytime and nighttime temperatures average 92 °F and 51 °F, respectively; while January day and night temperatures average 46 °F (7 °C) and 22 °F (-6 °C), respectively. Most precipitation occurs in winter and spring.